At Aquascape, we’re dedicated to helping contractors succeed in establishing and building an Aquascape water feature installation business. In fact, we’re 100% confident in our ability to help you succeed. Why? Because Aquascape is the world’s only decorative water feature manufacturer with a dedicated team of contractors on staff that installs, builds, and maintains water features. We take our real-world, on-the-job learnings, refine them into industry standards and best practices, and share them with YOU! With more than 25 years of experience marketing, selling, and installing water features, you can rest assured knowing that adopting our systems and processes will set you apart from the competition and give you an advantage in the marketplace. 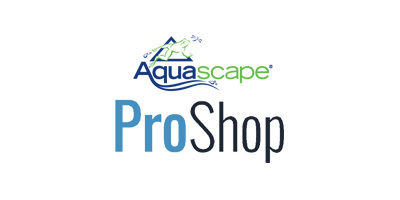 To get started, watch this tutorial about the Aquascape print-on-demand marketing materials available through the Aquascape ProShop.